Cleaning is no one’s favorite chore, but it has to be done. So, at least make it as pleasant and bearable as possible, right? Regardless if you have a studio apartment or a full house, you need to clean the space you live in at least once every one-two weeks. Obviously, you will require specific cleaning tools and a good vacuum. 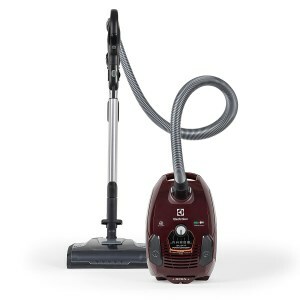 After going through plenty of Electrolux vacuum cleaners reviews, we have reached the conclusion that one of the best products in the field is the Bagged EL4015A because it is very silent, it has an enhanced suction power and included accessories, it is easy to handle thanks to the 360-degree motion tech, and comes with a HEPA filter against allergens and pollutants. Should the Bagged EL4015A not be available for purchase, we suggest choosing the EL43335B Flex because it is similar in characteristics, power, and price. Choosing the best Electrolux vacuum is not entirely an easy task, especially with so many product options available on the market. However, our following buying guide will provide you with the right amount of information and features you need to take into account if you want to make sure you picked up the best Electrolux canister vacuum. Depending on the size of your house and exactly how often you will engage in cleaning operations, you need to know there are different types of vacuum cleaners. Canister vacuums are suitable for people who don’t like to clean their homes more than once every other week. They are rather heavy and hard to handle, but offer excellent suction power and will clean your house thoroughly. You can compare Electrolux canister vacuums to see which product available for sale is best suitable for your needs. On the other hand, if you care about weight and portability, you should definitely look for stick vacuum cleaners. They are extremely lightweight and easy to carry around and will become your true friends if you have a house with second floors or attics that also need to be dusted. Stick vacuums do not provide the same suction power and should mainly be used on a regular basis, at least two-three times a week. However, they won’t cause you any back problems and are easy to store pretty much anywhere. Some of the vacuum cleaners can put on quite a show in your house, disturbing the neighbors or even waking up babies from their sleep. So, if you want to make sure you can still clean your house regardless of your daily schedule or scruffy neighbors, you will need a silent product. The new generation of vacuum cleaners from Electrolux display a more powerful engine with an increased suction power while remaining more silent than ever. If you have breathing issues or health problems related to allergens, a product with a HEPA filter or a water filter are your best options. The HEPA filter is known for its ability to fight against 99.97% of the allergens such as dust, debris, pollen, mold spores or pet hair and prevent them from reentering the atmosphere. As a result, every time you vacuum your house will not only be cleaner, but the air inside will become fresher and cleaner, free of allergens and other potentially harmful substances. Finding the right type of vacuum could prove a difficult task. We suggest going through reviews of Electrolux vacuum cleaners if you want to make sure you find the right product. In addition, if you want to learn more about the production line of these items, below you will find a list of the models we consider are the best on the market right now. This product is suitable for thoroughly cleaning every time you want to make your house shine. It is equipped with a Silence Pro system that guarantees minimal noises and disruption. This means you can now clean the entire house at any hour, without worrying about sensitive neighbors or sleeping babies. The product provides a powerful suction and, thanks to its 360-degree motion technology it is easy to handle on all kinds of surfaces. 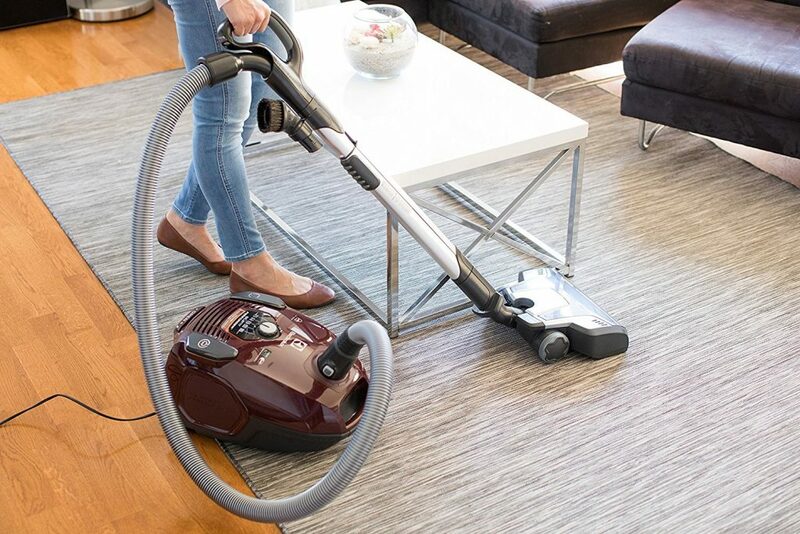 From tiles to rugs, carpets, marble, and more, this vacuum will help you easily clean the entire house. The accessories include a dusting brush and an upholstery nozzle, and the cord is easily rewound thanks to an automatic button. Last but not least, the product is also equipped with a HEPA filter which allows capturing more allergens and pollutants providing, in return, a fresher, and cleaner air. This way you can say goodbye to allergies, mold spores, dust, pet hair, and pollen. The product is perfect whenever you want to thoroughly clean your entire home without spending too much time. 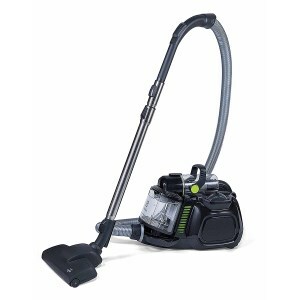 The powerful motor provides an increased suction power so it will clean better and faster, regardless of the surface. The on/ off brush roll will help you clean without interruption even when you’re switching between surfaces, and the 3-level height adjustment makes this vacuum suitable for people of all heights. In addition, you can also adjust the suction power, depending on your needs and the requirements of your surface. Low pile carpets will require a more powerful suction because pet hair, dust, and debris is easily deposited there. On the contrary, if you’re switching to the kitchen floors, you will require less power suction because you can also use additional cleaning substances. This Electrolux vacuum is also equipped with a HEPA filter that provides a fresher and cleaner air by not allowing allergens and pollutants to reenter the atmosphere. 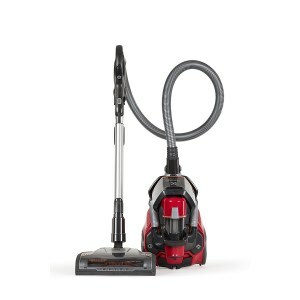 Small, compact, and very powerful, this Electrolux vacuum is certainly worthy of your investment. Equipped with Electrolux’s own Silence Pro system you can ensure your cleaning will be as silent as possible. This means no more grumpy neighbors or little children who wake up from their sleep because you make too much noise cleaning the house. No matter the surface you want to clean this product will provide a powerful and thoroughly cleaning, perfect for people who don’t have enough time to clean the entire home more than once a week. Your carpets, bare floors and tiles will be left clean and clear. The product comes with a 3-in-1 crevice tool, dusting brush, and an upholstery nozzle, meaning all the accessories needed to clean all surfaces, including hard-to-reach corners, and around the furniture. Thanks to the HEPA filter you will breathe a fresher and cleaner air every time you clean the house. Thus, you can finally say goodbye to pollutants and allergens that cause allergies and breathing problems.